TUCSON BEAD & DESIGN SHOW is number 58 in a succession of BEAD & DESIGN events over the past 10 years, in Arizona, Nevada, and California: Tucson, Las Vegas, Pasadena, Costa Mesa, Santa Barbara, Santa Clara, Walnut Creek, Concord, San Mateo, and San Francisco. TUCSON BEAD & DESIGN SHOW brings celebrated designers and instructors together, around a common theme of bead and design, going back to the repeated colors and patterns, balance and cordage of ancient costume; nature and life complementing each other, as one design flowing together, the one becoming the other. The art of beadmaking was one of the oldest forms of human expression, going back 77,000 years to the Nassarius mollusk shells found in Blombos Cave, in South Africa. 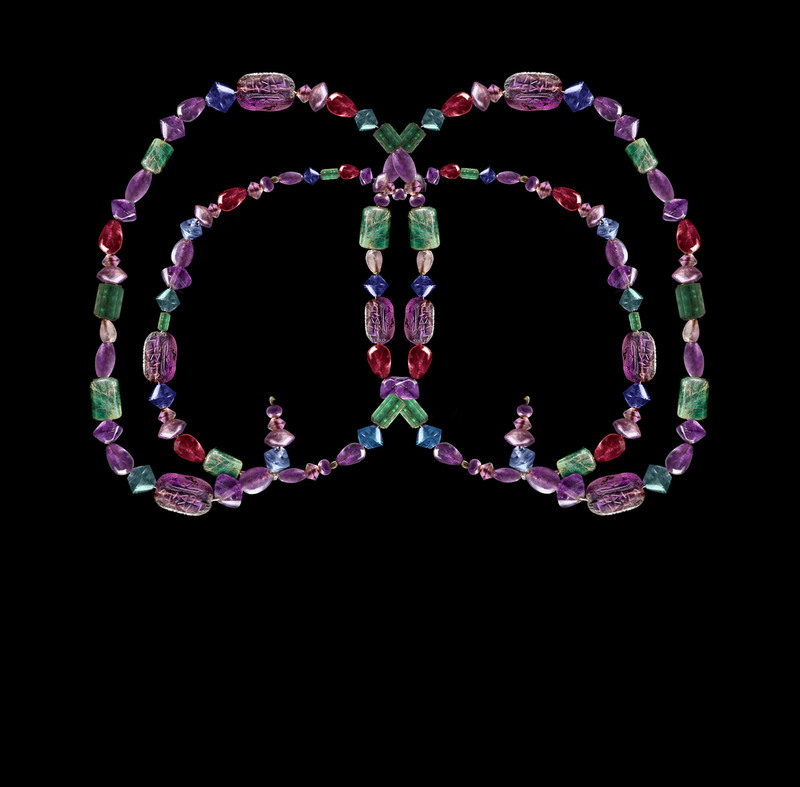 Necklace and bead design developed meaningful abstract values within interconnected tribal social patterns to make sense of life. About 42,000 years ago, at the end of the Ice Age, Aurignacian people fabricated beads from onyx, marble, and obsidian, worn as costume intregal to social fabric. Over 10,000 years, the Aurignacian developed a system of color, motif, and material, within bead and design. 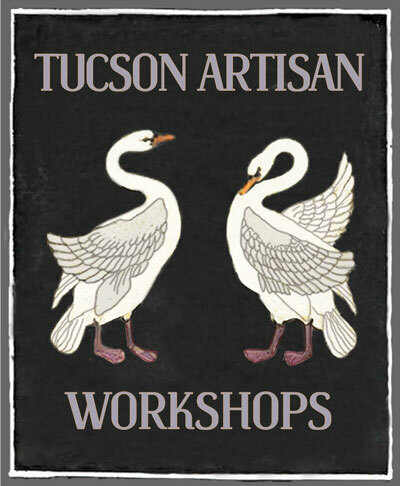 TUCSON BEAD & DESIGN SHOW exhibitors have built on this long history of stonecutting and glass making. Some have spent upwards of forty years developing skills, reviving lost techniques, working with antique tools, building an excellent reputation. The modern art of beadmaking has developed textural weaves in glass and stone, and richly symbolic color. Along trade routes through Europe, Asia, and Africa during antiquity, beads were highly prized trade goods --as well as amulets, figurines, cameos, gold coins, ritual lamps, silk, embroidered velvet, enameled mosaics, seed pearls, sapphires, gold wrapped thread, and cloths of every color. TUCSON BEAD & DESIGN SHOW traces its beginnings to those busy trade routes, assembling artists, artisans, merchants, and traders. Whatever your passion, the common thread between bead and design has not unraveled –whether it be glass beads, seed pearls, embroideries, hand painted silks, porcelains, painted shawls, gold ribbons, jade, mustika-pearls, polymer cane, batik, paper fans, Venetian beads, enamel inlay, kilims, Thai silver, ceramics, cabochons, plique-à-jour, or floral laces –the colors and patterns, balance and cordage of TUCSON BEAD & DESIGN SHOW makes it an unusual shopping experience which sets it apart from other events.